The 10 Best RV Trips To Take In Mississippi - Must See! Mississippi may be known for its southern hospitality, but the state has so much more to it than just the politeness of its people. 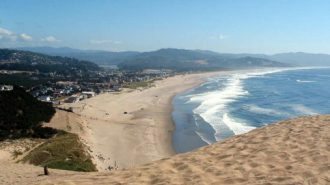 Breathtaking views of the coast, groundbreaking scientific research, and a history rooted in jazz and blues…and starring one of America’s most famous musicians…all make this state one of a kind! 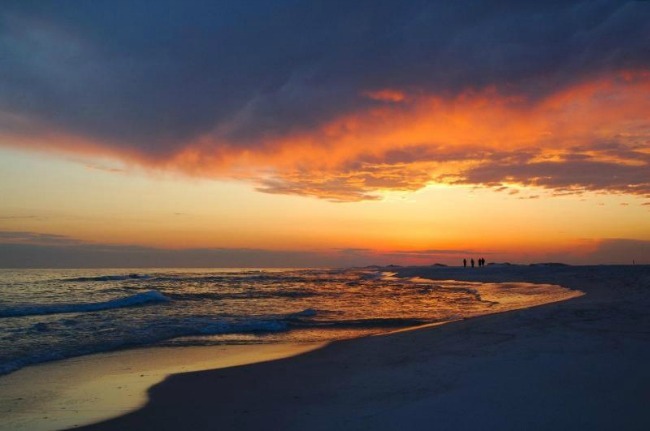 An amazing Mississippi RV trip idea definitely includes a stop at the Gulf Islands National Seashore. 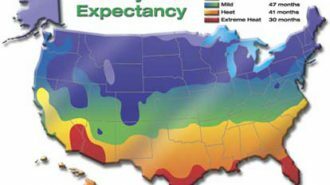 The national seashore covers the northern coast of Mississippi and Florida along the Gulf of Mexico and has a beautiful variety of terrain including barrier islands, maritime forests, bayous, and marine habitat. You can also visit historic sites, learn about the region’s past, and even keep an eye out for wildlife like armadillos in the area. Visitors can swim, bike, fish, hike, even snorkel in the crystal blue Gulf waters. There are many islands that make up the national seashore as well, and places like Horn Island and West Petit Bois Island (also called Sand Island) promise an unforgettable vacation (though you do need a private boat to get there.) The Davis Bayou Area is near Ocean Springs, Mississippi and is a good place to begin exploring. Price: Fees are collected at most areas of Gulf Islands National Seashore. They are $7 for individuals, $15 for private vehicles. The Davis Bayou Campground near Ocean Springs, Mississippi can accommodate RVs up to 45 feet long. All sites have water and electricity, bathrooms, and hot showers. The Fort Pickens Campground near Pensacola, Florida can accommodate RVs from 16-50 feet and has water and electricity with restrooms and dump stations nearby. INFINITY Science Center is a nonprofit science museum and the official visitor center for NASA’s Stennis Space Center. If you’re taking a Mississippi RV trip with kids, bring them to this excellent destination for STEM learning in the Mississippi Gulf Coast! The Center has simulators and artifacts, videos, artifacts loaned from the Smithsonian, and a life-sized walk-through mockup of the International Space Station’s Destiny module. 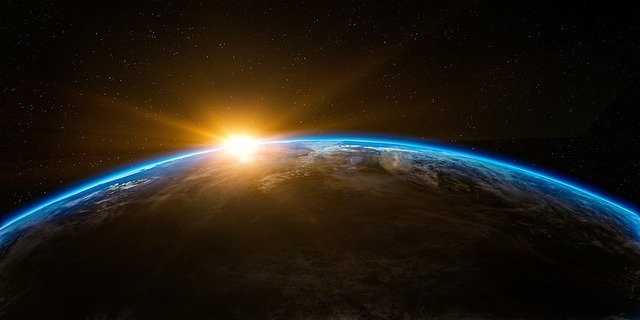 Learn about space suit technology, new space rockets, and more about space exploration. You can even see one of the rocket boosters that was intended for Apollo 19. 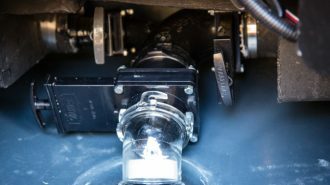 Since the last moon landing happened with Apollo 17, and the booster didn’t end up splashing down in the Atlantic, you can now view it from the INFINITY Center and learn more about it. Price: Adults are $15, seniors 55+ and military members are $12, children 4-13 are $8, and children 3 and under are free. The Sunrise RV Park & Campground in Pearlington has on-site laundry, wifi, and shaded campsites. 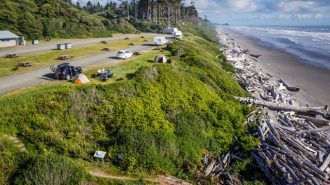 Multiple reviews also mention the helpful, friendly owners, which always make a campground stay even better! The Bay Hideaway RV Park & Campground has plenty of green space and trees, pull-thru sites with full hookups, and free wifi. 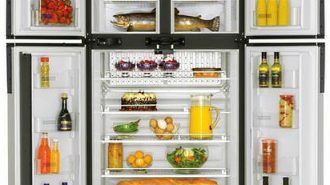 Guests have access to a playground for kids, a swimming pool, and a heated furnished clubhouse with a kitchen. When decided on a Mississippi RV trip itinerary, be sure to include the Natchez Trace Parkway. The parkway runs for 444 miles, through Alabama, Mississippi, and Tennessee. It’s a scenic, impressive travel corridor that was used by Native Americans, European settlers, soldiers, and more. Today, you can drive the route, but also hike, bike, horseback ride, and camp along the way as well. 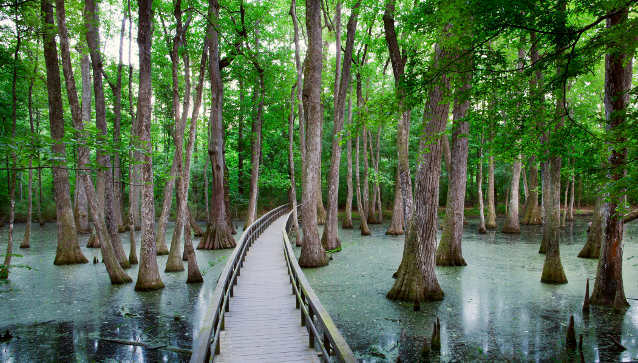 In Mississippi, you can also stop for a uniquely southern experience and walk through a cypress swamp. A boardwalk trail at milepost 122 leads you through the swamp, which is home to dozens of tupelo and bald cypress trees. The trees took root back when the swamp was dry, and contrary to most trees, they have continued to thrive in the watery, boggy swamp. Cypress Swamp is also home to many creatures who love its habitat, including frogs, snakes, and alligators. Camping is available at nearby LeFleur’s Bluff State Park in Jackson. Campsites are equipped with water and electrical hookups, a central sewage dumping station, and a bathhouse with hot showers. The Goshen Springs campground in Brandon has water and electricity. The campground is on the Barnett Reservoir, known for its fishing opportunities both from the shore and from fishing boats in the reservoir. 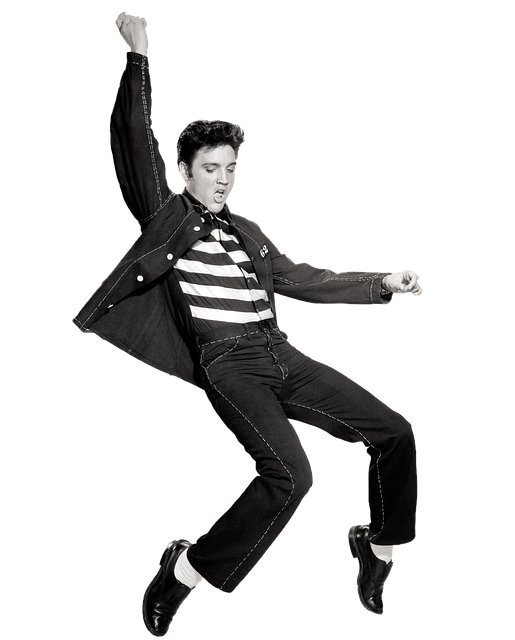 Elvis Presley was born in a two-room house in Tupelo, Mississippi in 1935. Today, guests can see his childhood home that was built by his father with $180 he borrowed from his employer. The home is in its original location, has been restored to its original condition, and has been decorated with furniture of that era. You can also wander the nearby grounds and see the memorial chapel as well. Elvis dreamed of having a “place of meditation” at the Elvis Presley Birthplace Park and the chapel offers a time for quiet contemplation and a venue for weddings and special services. While you’re in Tupelo, you can also visit the Assembly of God Church Elvis attended growing up, and where he was first introduced to the gospel music that would influence his music. Price: Adults are $17, seniors 60 and up are $14, children 7-12 are $8, and children 7 and under are free. The campground at Barnes Crossing is located in a wooded area just outside Tupelo. The campground has full hookups, free cable TV, and wifi access at every campsite. The Natchez Trace RV Park is in the rolling hills of North Mississippi, just 400 yards off of the Natchez Trace Parkway. Sites have full hookups, a bath house with hot showers, a laundromat, and a central sewage dump station. 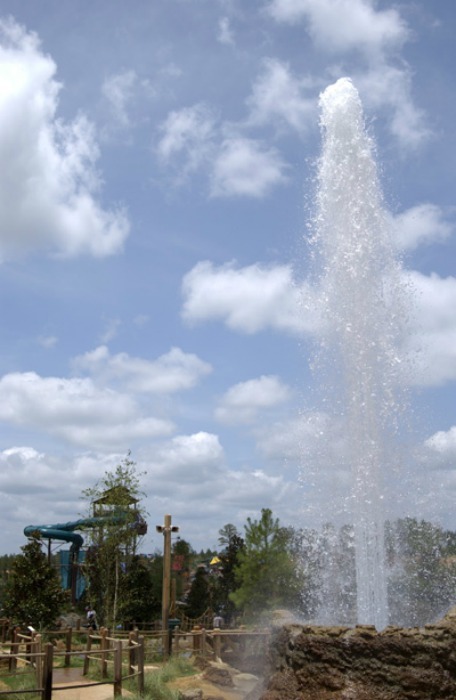 Geyser Falls Water Theme Park makes the perfect place to cool off with kids while traveling Mississippi. The waterpark has twelve waterslides, a lazy river, and a wave pool. The Backsplash is a backwards roller coaster and water slide all in one. Lil’ Squirts Hollow is an interactive children’s fun zone for the youngest water lovers. Clearwater Key lets guests enjoy eight acres of white sand beaches and crystal clear pool in a tropical setting. Catch rays on the beach, take a dip in the pools or rent a poolside cabana to really feel like you’re in the Caribbean for an afternoon. Then, when you need one last adrenaline jolt for the day, check out Pipes Peak, which takes riders down four four-story double-tube slides. Choctaw Lake Campground at Choctaw Lake has two dozen campsites equipped with full utility hookups, a picnic table, and campfire ring with grill. Frog Level RV is only five minutes from Geyser Falls and is pet-friendly and open year round. 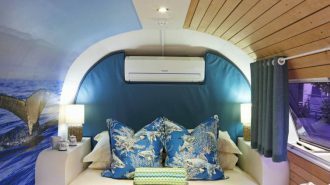 It has all pull-thru sites with full hookups and free wifi. There’s lots to do in Biloxi. However, a stop there can guarantee you one of the best RV trips in Mississippi if you stay and explore a bit. Ship Island, 12 miles off the coast of Biloxi, is a popular day trip with beaches and Fort Massachusetts which was built following the War of 1812. 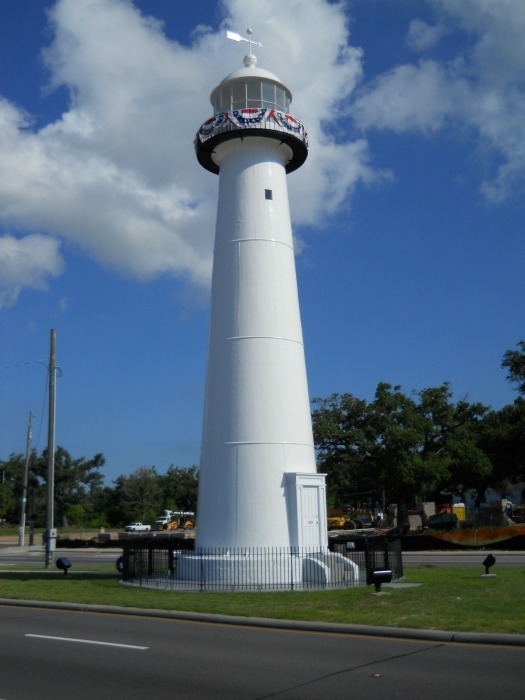 Tour the Biloxi Lighthouse, one of the first cast-iron lighthouses built in the South. Or visit Beauvoir, a cottage-style plantation that’s a popular stop for Civil War enthusiasts. The Ohr-O’Keefe Museum is known for its modern ceramics and sculptures, and the building itself was designed by Frank Gehry. The Cajun RV Park in Biloxi has a dog park, a playground, a swimming pool, and an outdoor fireplace. It’s across the street from 26 miles of beaches and has free wifi and cable. 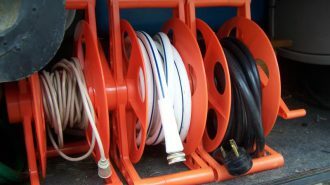 Oaklawn RV Park is a family owned business with pull-thru and back in sites with 30 and 50 amp electrical hookups, water, sewer, and wifi. 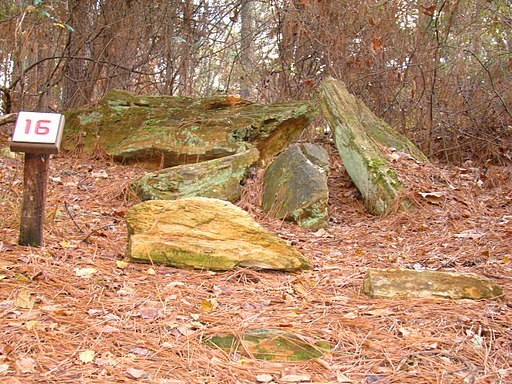 The Mississippi Petrified Forest, in the hills of Flora, is a great stop on a Mississippi RV vacation. The size of the petrified logs on the site leads its owners to believe that while they were living, these trees were over one hundred feet tall, and possibly a thousand or more years old. Walk the nature trail and read about the history of the petrified forest. Pose for a picture on “Caveman’s Bench,” the most photographed log in the park. Wander through the Earth Science Museum and see maps of where petrified wood has been found in every state of the nation, and where it has been found in other countries as well. View the fossil collection — including an entire cast of a prehistoric camel! If you’re traveling with children, be sure to save time for the Gem Mining Flume on the rock patio. Start with a bag of “mine muck,” and sift it through screens to see if you find any real gems — just like miners used to do. The Petrified Forest has full hookup campsites with 20, 30, and 50 amp electric service, water, and sewer. The campground is in a secluded wooded area. Showers and restrooms are also available. The Tupelo Auto Museum is one of the largest auto museums in North America. It features more than 100 antique, classic and collectible autos displayed chronologically to show how cars progressed over the years. The collection begins with an 1886 Benz and also includes a never-driven 1994 Dodge Viper. 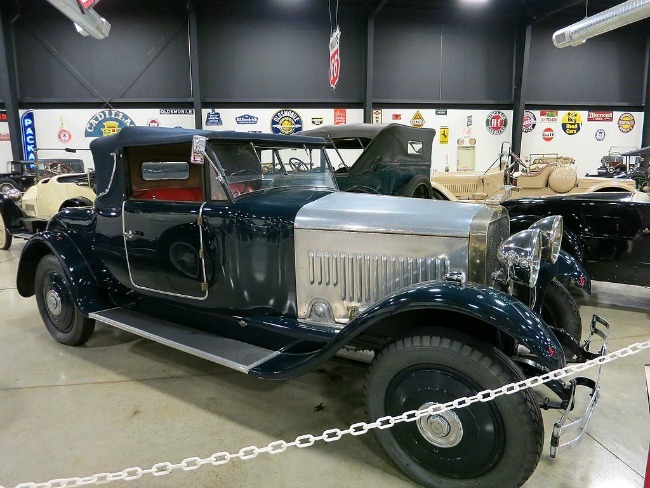 The collection is valued at over $6 million and also includes a Lincoln owned by Elvis Presley. 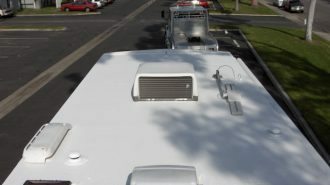 The museum also has a 1981 DeLorean, the same model as the “Back to the Future” car, and the world’s only Camarovette — a combination of Camaro and Corvette parts. Kids visiting the museum may also be interested in checking out the Hot Wheels sets in the museum gift shop! The Campgrounds at Barnes Crossing are in a wooded area outside of Tupelo, near the Natchez Trace Parkway. They offer full hookups, free cable TV & wifi access at every site. Six miles south of Tupelo, Tombigbee State Park offers water and sewer hookups in a beautiful lakeside setting. 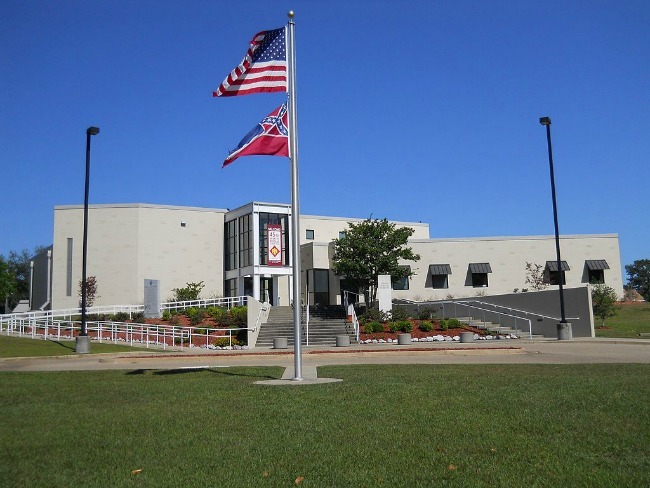 The Mississippi Armed Forces Museum began with a small collection of two veterans’ personal war artifacts and has grown to a 36,000 square foot museum dedicated to exhibits, military ceremonies, civic events, and large-scale traveling exhibits. It also has two new galleries that honor the state’s 28 Medal of Honor recipients and other distinguished Mississippi veterans. Exhibits teach guests about Mississippi’s role in the United States Armed Forces, and share American military history from the 19th century, through the First and Second World Wars, the Vietnam War, and more. Outdoor exhibits include memorials, aircraft, tanks, and field artillery for visitors to see. 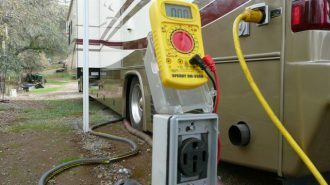 Cypress Hill RV Park in nearby Hattiesburg offers 30 and 50 amp full hookup sites. The campground has a fenced dog run, a saltwater pool, a fully stocked fishing pond, and horseshoes among other entertainments. The Okatoma Resort & RV Park near Hattiesburg has many lakeside sites, a clubhouse with a kitchen and dining area, a pool, and fishing available in the lakes. 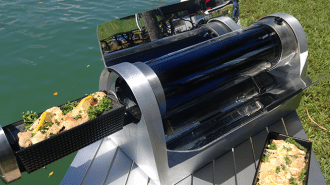 There are pull-thru sites available, and all RV campsites have electric, water, and sewer hookups. 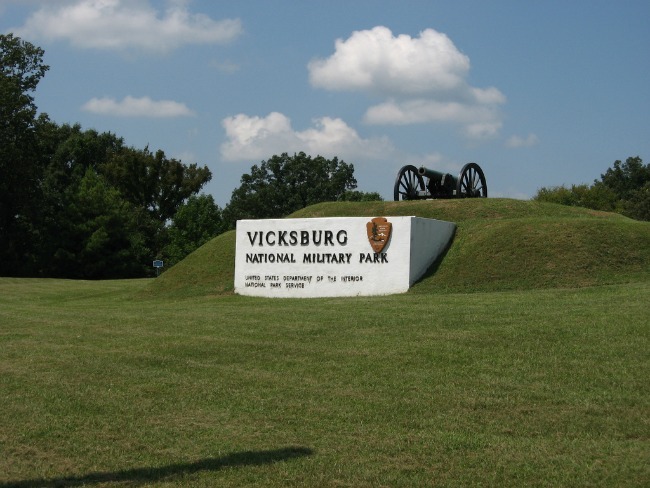 The Vicksburg National Military Park is the site of a long, key Civil War battle, that lasted from May to July 4, 1863. Reconstructed forts and trenches teach visitors about the 47-day siege that ended with the surrender of the city, and a victory here was key to giving the Union control of the Mississippi River. You can take a self-guided driving tour through the park and learn a brief history of the Vicksburg Campaign and Siege, or opt for the cell phone driving tour, or even book a licensed park tour guide for a more personalized account. Also, be sure to check out the summer Living History Programs which include rangers and volunteers who help interpret historic events during the battle, battle reenactments, and even live cannon firing programs. Rivertown Campground is a short drive from the park and has 108 sites with full hookups. There are pull thru sites available as well. The Magnolia RV Park Resort is pet-friendly and has pull thru sites with full hookups. There’s also a swimming pool and adjacent covered barbeque area. 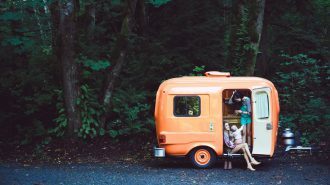 Hopefully, this collection of Mississippi RV travel tips has given you inspiration as you plan your own adventure! If you’re looking for more ideas for campgrounds in Mississippi, we have this resource available as well. 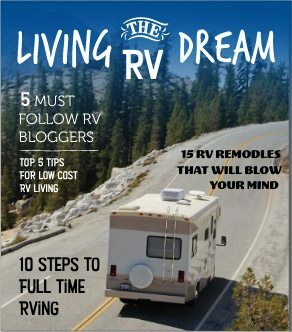 If you need help finding an RV to rent, RVshare can help! These RVs are available for rent in Mississippi — book one now for your vacation to the south. You can also find some great suggestions for Mississippi RV parks here to help you plan your trip.